During the last decade, the Chinese city of Guangzhou has been endeavoring to build an internationalized metropolis. In its recently released 2035 Master Plan, Guangzhou aims at becoming a dynamic and vibrant global city. To move towards this objective, the Guangzhou Academy of Social Sciences (GZASS), a leading think tank in southern China that provides policy consultancy for the City of Guangzhou, organized an international forum on Global City research and practice to discuss strategies and exchange approaches and best practices with world leading research organizations on global city indexes and rankings, including IESE Cities in Motion. 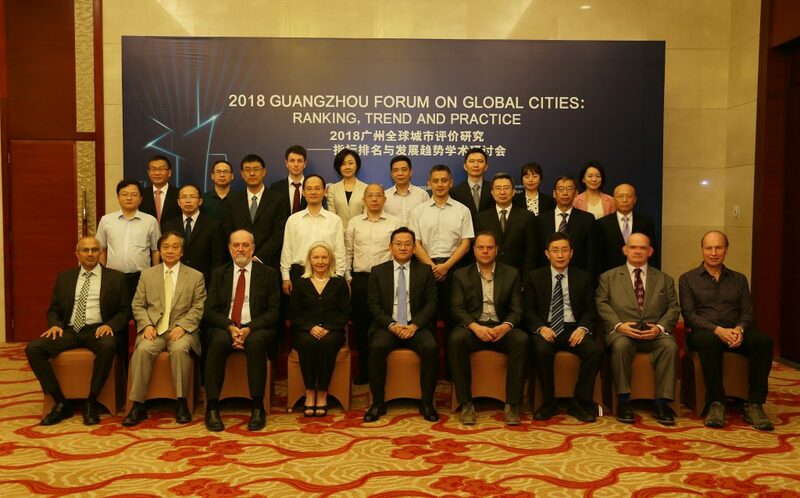 The IESE Cities in Motion Team, in particular Prof. Joan E. Ricart, had the great opportunity to attend the “2018 Guangzhou Forum on Global Cities: Ranking, Trend and Practice”, an international forum on Global Cities that took place in Guangzhou (China) on May 24-26, 2018. 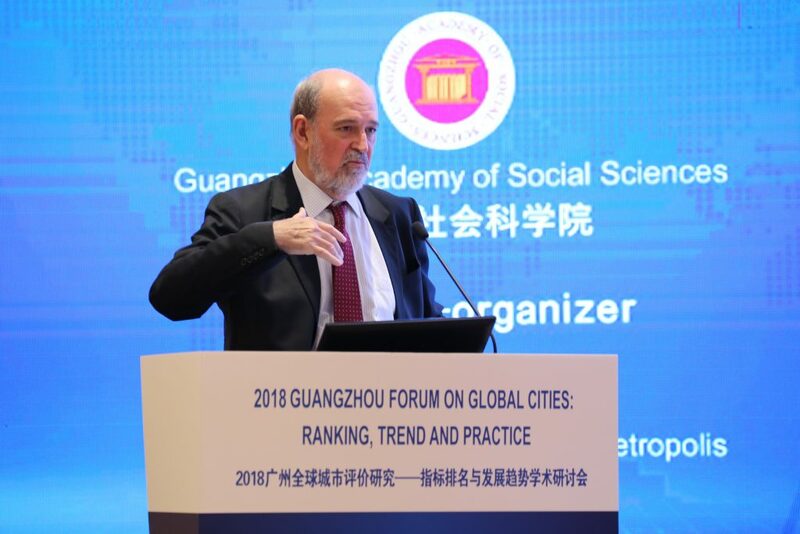 The Guangzhou Academy of Social Sciences (GZASS) together with the World Association of the Major Metropolises (METROPOLIS) organized the event. Prof. Joan Enric Ricart, academic co-director of IESE Cities in Motion, took the stage with the presentation titled “From Smart City to Smart Governance: A Change in Paradigm”. He presented the results of the latest edition of our IESE Cities in Motion Index 2018 and highlighted the need for a paradigm shift from “technology-focused” approaches to “smart governance” and strategic planning. Guangzhou, historically known as Canton, is the capital and most populous city of the province of Guangdong in southern China. With a population of some 14 million people, this “megacity” is one of the largest Chinese metropolises by population. Guangzhou is situated at the heart of the most-populous built-up metropolitan area in Mainland China and one of the largest urban agglomerations on the planet, the Pearl River Delta Metropolitan Region, together with other major cities such as Foshan, Dongguan, Shenzhen, Macau and Hong Kong. In the past several decades, Guangzhou has experienced an accelerated urbanization process, moving from a population of around 1 million people in 1950 to some 14 million inhabitants in 2018 – and it is expected to continue growing to over 18 million people. Additionally, the city has a booming economy that has grown at an average annual rate of 13% over the past decades. Being one of China’s leading commercial and manufacturing regions, the city’s Gross Domestic Product (GDP) in 2017 exceeded US$300 billion. Moreover, Guangzhou is a port city that has long been a hub for foreign trade and international businesses. However, this exponential urbanization growth has resulted in a number of challenges such as traffic problems, overcrowding, and issues of insufficient provision of services, infrastructures and resources to an increasing number of people. These are important challenges that the city is currently facing. The city of Guangzhou ranks in position number 109 in the overall ranking of the Cities in Motion Index 2018. 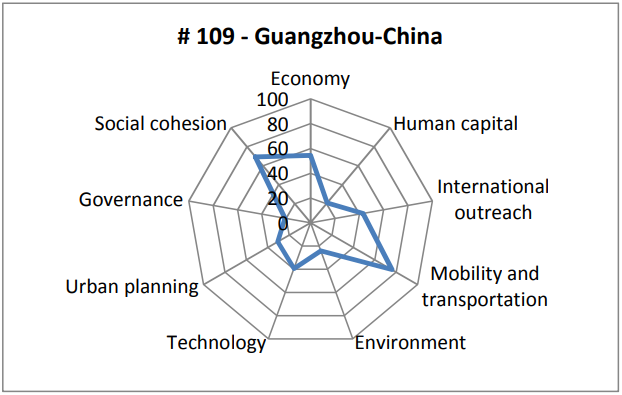 Mobility and Transportation (#27), Economy (#55) and International Outreach (#56) are the dimensions where Guangzhou performs better. On the other hand, the dimensions where the city performs worse are: Social Cohesion (#121), Urban Planning (#124) and the Environment (#152). Figure 2 below exhibits the results of the IESE Cities in Motion Index 2018 by dimension for Guangzhou together with the two largest cities of China by population: Shanghai and Beijing. As we have mentioned, the Government of Guangzhou set up the target to build a leading global city with Chinese characteristics. * The aim is to move from a hub-type city to a leading global city. This vision has specific goals such as promoting the Greater Bay Area; building a Hub-Network city; becoming an international science and technology innovation hub; improving foreign trade efficiency; or to expand international communication. Have you ever been to Guangzhou? What do you think about Guangzhou’s Global City Strategy? Let us know in the comments section below! Yinchuan: What Makes a City Smart? Joan E. Ricart, Fellow of the SMS and EURAM, is the Carl Schrøder Professor of Strategic Management and Chairman of the Strategic Management Department at the IESE Business School, University of Navarra. In this school he has been Director of the Doctoral Program (1995-2006), Associate Dean for Research (2001-2006), and Associate Director for Faculty and Research (2006-2014). He is also Vice-president of the Iberoamerican Academy of Management. He was the Founding president of the European Academy of Management (EURAM) and President of the Strategic Management Society (SMS). 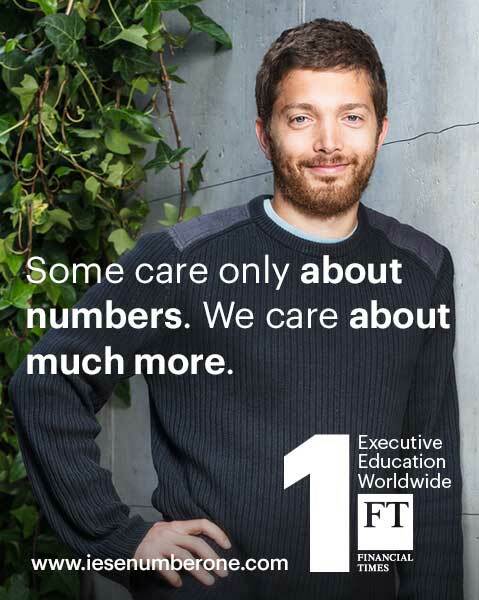 He was the academic director of the EIASM and member of the research committee of the EFMD. Joan E. Ricart holds a Ph.D in Managerial Economics, Northwestern University; Ph.D. in Industrial Engineering, Universitat Politècnica de Catalunya; and Ph.D. in Economics and Business Administration, Universitat Autònoma de Barcelona. He has published several books and articles in leading journals. He is Director of the Center for Globalization and Strategy, co-academic director of IESE Cities in Motion and academic director of the UN center of excellence of PPP for Cities. He is also a member of the Advisory Board of the Future of Urban Development and Service Initiative of the World Economic Forum. His current work focuses on cities, business models, and general management. 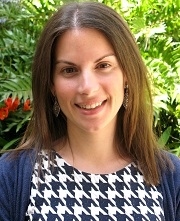 Ana Isabel Duch is a research collaborator at IESE Business School. She holds a master’s degree in International Relations from the Institut Barcelona d’Estudis Internacionals (IBEI) and a bachelor’s in Business Management and Administration from the Universitat Pompeu Fabra (UPF). Before joining IESE, she worked on research and consultancy projects related to socio-economic development and international trade at the European Commission (DG Trade), the Inter-American Development Bank (IDB), the European Institute of the Mediterranean (IEMed) and at ACCIÓ Berlin (Government of Catalonia). Her areas of research interest include sustainable development, global and local governance and international political economy. It was really interesting to read this post. I was totally unaware about such a place in china. You clearly explained about the city of Guangzhou, its history and its development right now. It is you who informed me about this city that transforms into the global city. It experienced urbanization process and now turning into international metropolitan city. I am really thankful to you for your great information about this city in China. The organization of the world economy takes place in the form of a global network of strategic nodes, connected to each other and forming a planetary system in which the economic and information flows run thousands of kilometers in a matter of seconds. These strategic nodes are global cities, large metropolises of global importance, and in which business, economic transactions, political decisions … etc. take place. The global city concept was introduced by Dutch sociologist and economist Saskia Sassen in 1991 with the publication of her book The Global City (Princeton University Press). In this work, global cities are presented as those that have a direct effect on world affairs, not only through socio-economic aspects, but also through politics or culture. They are cities whose influence is global. In Sassen’s book it is considered that Paris, New York, Tokyo and London are the cities that best represent the characteristics of a global city. What is taken into account to determine a global city are other factors that do not have to be related to the number of inhabitants, such as: number of headquarters of large companies, level of universities, quantity and quality of connections with other cities, access and connectivity to markets, qualification of the workforce, percentage of the GDP of the city that comes from advanced services and services … etc. A very interesting article. I had heard about Guangzhou’s great strength. A friend of mine was last year on a business trip and got a good impression of the city, although the traffic seemed him terrible, as well as the levels of pollution. He said he saw many people in the street wearing masks because of the pollution. It’s a Great initiative by Guangzhou be become a Global City. This would really boost the growth of the country. I know Guangzhou (or canton as I used to name the city years ago) since late 90s when I started attending its Trade Fair twice a year. I was there four or five times in a short period. Then in mid 00s I changed my job and stopped my visits. And now I started up my own business and got back there. It’s amazing when I first arrived to new (at least for me) airport, as I remember very well the 50s or 60s style old one. And the rest of the city changed dramatically too; the Trade Fair facilities to name just one. But there is a huge competence in a very small area: of course Hong Kong is a global city, but Shenzhen (my sourcing factories are in Shenzhen) is playing hard too. Let’s consider that all three cities won’t likely become global superpowers and HK is the most qualified (being a financial global superpower today), and Shenzhen is focused on manufacturing high-tech products which are most likely to push that city as a global city rather than the more “conventional consumer products” made in Guangzhou and its surrounding area in Guangdong province.